When we get caught up in the day-to-day reality of running our businesses and living our full lives, we can sometimes lose sight of why we do the work we do. A manifesto serves as a powerful and inspiring reminder of what we love about our professional path and what gives purpose to our career. 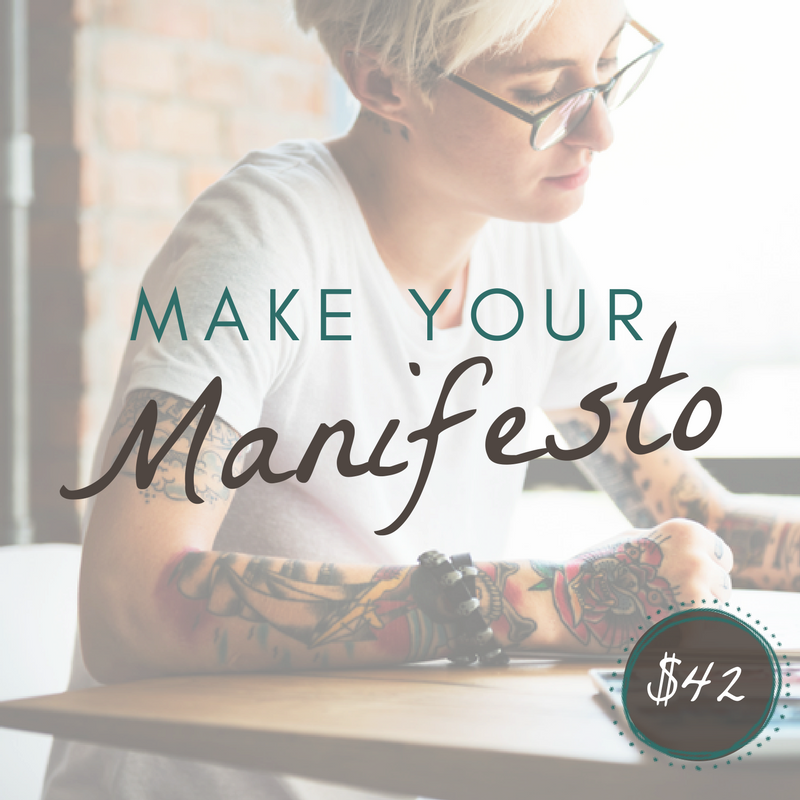 This gorgeous 20-page PDF offers step-by-step support to write and make your vibrant manifesto. Included you'll find: Reflection Prompts to tap into your "why," Creative Cues to spark the process, Inspiring Examples of unique and expressive manifestos, a hands-on Art Activity to bring your manifesto to life, and Ways to Connect exploring how to use and share your finished manifesto. Print out and keep it forever.